This year we partnered with BattleBorn MCs on creating a battle rap line up for the 2018 Tucson Hip Hop Festival. 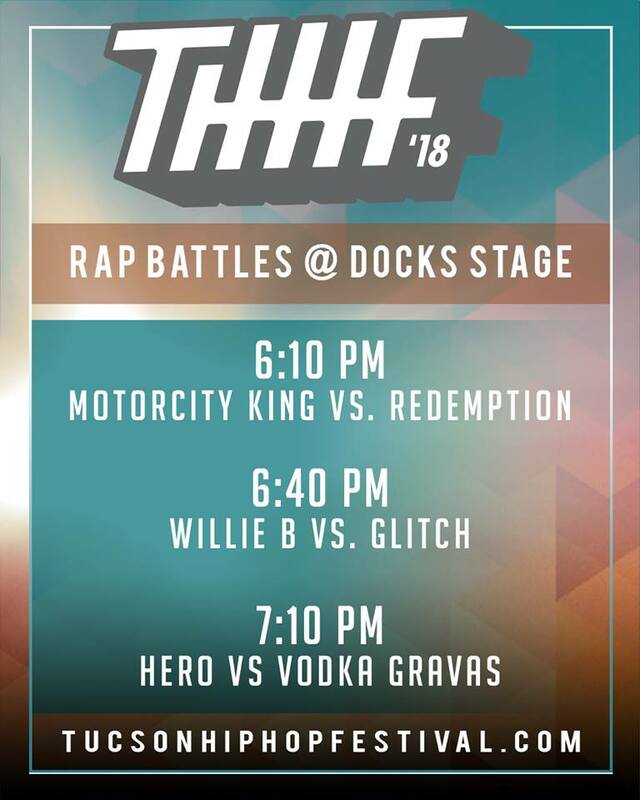 Because what's a Hip Hop festival without battle rap? Check out Gl1tch versus Willie B! Who do you think takes the W? Full battle rap line-up below.